At first, Jasmin's mother, Lili, refused to speak about the photograph, and Jasmin returned to her own home frustrated and confused. But a few months later, she received from her mother the first of ten cassette tapes that would bring to light the wrenching hidden story of her family's true origins in Iran: Lili's marriage at thirteen, her troubled history of abuse and neglect, and a daughter she was forced to abandon in order to escape that life. The final tape revealed that Jasmin's sister, Sara, The Good Daughter, was still living in Iran. "Superb... riveting... a moving tribute." "A wrenching and unforgettable tale." "Jasmin Darznik is a rare talent, and her family history a dazzler." "Distinguishes itself from the plethora of recent Iranian American memoirs... a testament to [Iranian women's] resilience." "A beautifully recounted homage to her mother's life and struggles." "An eye-opening account that disturbs with its depiction of the place of women in Iranian society, but warms the heart in its portrayal of their gritty endurance." Darznik's deeply affecting memoir about her mother, Lili, illuminates the complexity of Iranian women's lives as few books have ever done. Once you read this book, you will see Iran and Iranians with new eyes. A brilliant debut. Intricate, fierce, and genuine, The Good Daughter is a bold and unflinching exploration of faith and family, of love and alienation, of censure and forgiveness. 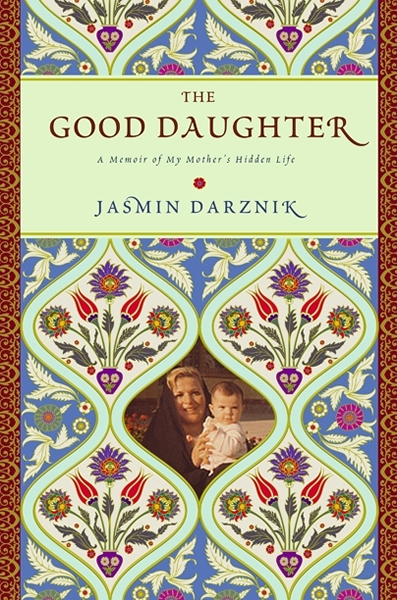 Jasmin Darznik's graceful prose delves with razor-edged introspection into the darkened passageways of her mother's past, and in the process, fulfills the highest ambition of the memoir as a genre: to tell a personal story that, by virtue of its honesty, sheds light on an all too universal truth.